Dad doesn’t have to be hard to shop for this Christmas, and finding gifts for dads is now a breeze with the extensive list below. We’ve sorted through all of the lesser gifts out there and present to you 100+ Christmas gifts for dads that they are sure to smile about for months to come. This swing trainer is designed to help dad get his swing down just right so when he gets out on the links he will have better swings and a better game because of it. It’s able to train his muscle memory so that he remembers what a good swing feels like and can hopefully not over think his swing when he is in a game. The Go Anywhere grill claims that it can go anywhere and let you grill with it. If Dad is a fan of tailgating, or camping, he’ll love this grill because it really can set up in a jiffy and cook anywhere you can think of. Not only that but you get similar results to the kind you get from a traditional grill. If your family loves spicy foods then this will be the Christmas gift that keeps on giving. It’s a kit that’ll allow you to grow 6 different varieties of hot chilis and sweet peppers. And since you’ll be growing them yourselves, there’ll be no added chemicals or ingredients so you’ll know they’re organic and healthy. With all of the technologies and devices that allow us to take pictures these days we can never seem to take enough. This frame is the perfect way to store one of those pictures of a father and his child. The big “Dad” letters and message at the bottom along with the image will always remind him of his family. Pulled pork is a delicious way of cooking that can be enjoyed in many different ways. The problem is that it can be very difficult and time consuming if you don’t have the proper tools. These claws are a cool unique gift ideas that will allow dad to prepare that delicious meal easier and quicker than ever before, and you’ll get to eat it! This is a helicopter just like the ones you see being sold in the malls, only for far less. It is loads of fun for dads that love aviation and are kids at heart. It’s also great for them to get outside and have a fun activity with the kids. This snow blower will help dad tackle the big piles of snow this winter without contributing to any air pollution. It is cordless, so he won’t have to worry about staying within range of the house, or filling up with gasoline. It has enough power to get the job done, even though it is running on batteries. This is a great Christmas gift for any dad because it comes straight from the movie The Christmas Story, and it is a replica lamp like the “major award” the dad in the movie won. If Dad loves to watch The Christmas Story each year, he’s sure going to love having his own personal leg lamp. Drones are new and exciting, but that doesn’t stop them from being affordable and coming in all shapes and sizes. This compact drone has an HD Camera, which streams straight to your phone screen. Combine it with a VR headset for the closest sensation you’ll get to flying. Does dad love hot dogs as much as the kids do? This toaster will cook those delicious hot dogs in a matter of minutes so you’ll always have a quick meal ready to go. It’s much faster than the traditional boil method and it also toasts the buns for added deliciousness. Every dad dreams of living the Bond lifestyle, and this gets him one step closer with the 007 cologne. It’s a great cologne to put on when he’s dressed up for a night on the town, and it will make him feel like he’s the man. If Dad likes to wear cologne, and he’s always looking for a new scent or a clever gimmicky bottle, this is the one for him. Help him learn about the Civil War, or learn more about it if he’s a Civil War buff with this documentary by Ken Burns. It details some of the lesser-known facts about the war, and takes a refreshing angle that he likely hasn’t seen before in a war documentary. This hot sauce is definitely going to wake up Dad’s taste buds, and it’s a great gift if he likes hot and spicy foods, or if he just likes to live life with reckless abandon. It comes in four different flavors so he can choose which ones he likes best, and also decide which ones he wants to leave alone in the future. These days, everything is moving into the digital era and cameras are no exception. You only get one shot at capturing those lifelong memories and first steps, so make sure they stay safe and give him somewhere to store those happy Christmas snaps, with an external hard drive. These are the most popular beer brewing kits on the market, and for good reason. They include everything needed to start brewing your own beer, even if you’ve never brewed a batch of beer before. Many homebrew enthusiasts got their start with a Mr. Beer brewing kit, so don’t be surprised if Dad really takes to the hobby. This multi tool from Leatherman is packed with useful gadgets that Dad can use for fixing things around the house, and it’s just nice to have in case something breaks. Rather than carry around a big toolbox, or have to store a bunch of tools, he can have many of the things he needs all in one place with this. The sphere ice ball maker will make balls instead of cubes, which for presentation look really good in a glass of whiskey. They are nice and smooth and still do a good getting the whiskey cold then keeping it that way. He can use them in other drinks as well like sodas and juice. This is one smart thermostat, and it can keep track of your patterns so that it learns your habits and learns when you want to have the heat on, or when you’re away and don’t need the house as warm. It also lets you access your thermostat from anywhere your smartphone gets a signal, so you can pre-heat your home for your arrival. This has all the tools dad needs to maintain a bar and produce awesome drinks. If he likes to play the bartender at family gatherings and other parties, he’s sure going to love having this set handy so that he can expand his operations and make more complicated drinks. It has everything he needs to feel like a real bartender. This is a fun way to let Dad play golf even when the weather outside isn’t permitting it. He can play as many games as he wants with this golf simulator that uses infrared beams to replicate where the ball would have gone had he actually swung a real club on a real course. The Sony 4K TV represents the ultimate picture you can get for Christmas this year, and takes HD to the next level. 75 inches is just the right viewing size for most rooms, and this TV will look great in Dad’s man cave. If you think HD is crisp and clear, just wait until you see the picture on this 4K model. Fixing things is an art form, and if Dad needs to learn it there’s no better book on it than this one. If he is already quite the artist what comes to fixing things, he’ll love delving into the book which features a lot of philosophy on what it takes to fix things the right way. This book is a collection of letters of John Lennon that were never released until now. If Dad is a Beatles fan, he will certainly love this, especially if John was his favorite Beatle. These letters include poems, drawings, and other insights from John Lennon in only a style that he had. This personalized Pub glass lets you get pretty particular about which pub you want to own. They let you name your pub, give it a date of establishment, and there’s room for a slogan too. This is a pretty high level of customization for just one glass, and they come out looking like real glasses you’d find at the pub. This HD webcam will let Dad make video calls and keep in touch with his kids easier and in crystal clarity. It features the ability to take widescreen HD video, and at the same time records high quality audio. It works great with setups like Skype or Google Hangouts, so he’ll be able to see people just like they were in the same room as him. Give dad a shave kit that will give him the perfect shave. It includes an old style shaving brush so he can evenly distribute the shaving cream around his face. It also includes shaving oils so that he can prepare his skin, as well as aftershave for after he’s done. There’s nothing like shaving this way, and this kit gives him everything he needs. The perfect cozy gift for dog-loving dads! 30+ dog breeds available. 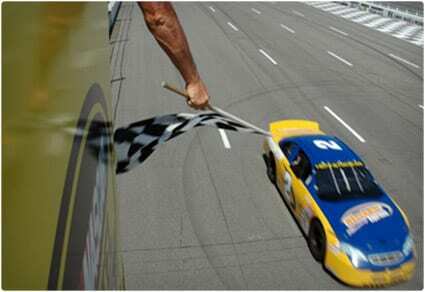 Give dad the thrill of driving an actual race car around the track with this race car driving experience. Even if he isn’t a fan of watching racing on TV, he still probably has the dream of seeing what it’s like to actually drive one of these speedsters. Have you ever snapped a photo and thought ‘That would look great in a frame’? This printer is the ideal solution to that problem. in a world where developing film is becoming a thing of the past, give dad a means of filling the home with framed family photos. Imagine a world where robots are intelligent enough to think for themselves and walk among us. We’re happy to just let them do the hoovering. This robotic vacuum cleaner is a real time-saver and will chase the kids around the house, sucking up the mess as it’s made. Seriously, a lifechanging Christmas gift for dad that will last for years and years. These rugged looking walkie talkies are real boys toys. Not only will the kids love to play with them, but they’re practical, too. When it takes a military style operation to get the kids into bed, mom and dad can coordinate a joint operation. Just make sure the kids don’t have the third walkie. This is a bean bag chair like nothing you’ve ever seen before. It is 8 feet in diameter, and is filled with soft memory foam so it is not actually a bean bag chair at all. Four or five people can fit as long as everyone sits down at the same time. Dad will love to kick back in this oversized chair. The iGrill meat thermometer will help dad get meats done perfectly, and it syncs up with his iPhone so that he can keep track of the temperature right on his phone without having to continually check the meat. It gives him a level of precision that wasn’t possible before. If Dad is any sort of gamers he will love getting the PlayStation 4 this Christmas. It’s the hot new console from Sony and is sure to be impressive. 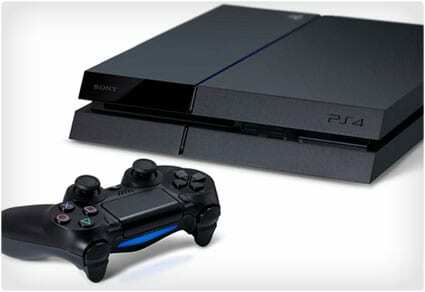 It’s been years since they’ve released a new console, and the PlayStation 3 has been cutting edge until now. This drill is sure to help dad with all sorts of tasks around the home. It features plenty of power to get most of the jobs done. Ask any dad and they’ll tell you that your drill is the cornerstone of what you can get done when it comes to DIY projects. If Dad is an avid golfer, give him this motorized golf caddy so that he can still get exercise without having to lug his bag around. This is the perfect compromise which returns walking to the game of golf, but without having to drag the bag around. The stainless steel wallet is a nice rugged wallet that he’ll be able to use each day. Because of the steel it will protect his cards from being scanned from scammers, and it is stainless steel so it will be durable and last him for years and years. Kids are an adventure and so is everything that you do with them. Give dad the unique gift of a scratch map this Christmas and let him track all of the adventures with the kids, scratching off countries and towns as they travel. This thoughtful gift will last a lifetime. The great American outdoors has so much opportunity for adventure and this tent provides the perfect base from which to explore it with the family. With space for 8 adults, the kids can easily squeeze on in and enjoy the surroundings from the optional mesh panels. These cufflinks are made from actual pieces of chairs from ballparks that have been taken apart. This gives dad a piece of history that he can wear on his sleeve. Any dad that is a fan of Major League Baseball will surely love to have a set of these cufflinks from his favorite ballpark. This wine chiller gets fantastic reviews and it’s easy to see how well it will work because it shoots an icicle right through the wine bottle. This means your wine will stay cool and you can sip on it rather than trying to drink it before it gets warm. The FitBit can be worn all day and night, and it will track dad’s activity, even his sleeping, to see you where he needs improvement in both areas of his life. It will show with objectivity whether he is getting enough activity each day, and it will also track his sleep to see if there is something he can do to make it better. This grill set is made out of stainless steel so it’s going to hold up to wear and tear from regular use, and provide Dad with everything he needs to be master of the grill. If Dad loves to grill all summer long he will definitely get tons of use from this. These rechargeable heated insoles will keep dad’s feet warm all winter long. If he likes to spend a lot of time outdoors during the cold winter months, be sure to grab these for him so he won’t have to worry about numb toes any longer. With a pair of waterproof boots and these insoles, winter has met its match. One for the dad with younger kids, this bike trainer attaches to the rear of his bike, letting him share the experience of learning to ride a bike again for the first time, with none of the risk of falling off. This cutting board have has lines and grids right on it so Dad can get as obsessive compulsive as he wants and make sure that the fruits and vegetables come out in exact perfect slices. This is a fun gift for the perfectionist in the family. This for FryDaddy fryer will let dad have some of his favorite fried foods from the comfort of home. It fries up the perfect french fries, as well as jalapeno poppers, chicken wings, fish sticks, and more. Gift this along with dad’s favorite foods for frying and it’s a thoughtful gift. The Nest Protect is one of the most advanced smoke detectors and carbon monoxide detectors on the planet. It will alert your family to smoke, as well as carbon monoxide in the home, and is set up so that it will alert you with voice instead of an ear piercing screech. The Double Black cologne from Polo is a really nice scent, and will help dad smell his best each day. It is one of the top selling colognes from Ralph Lauren, and frankly there are few colognes out there that are able to be worn daily and still smell great. If Dad loves the series Mad Men but needs to catch up on what he’s missed in earlier seasons, you can’t go wrong with this complete set the show. It will show him the pilot, as well as the initial seasons so he can see how the characters got their start. If Dad spends a lot of time in front of the computer for work, he’s surely complained about his hand cramping up because of the mouse. This trackball mouse lets him use his thumb to move the cursor instead of having to move its entire hand around. This reduces shoulder and wrist strain so he will have an easier time at work. Bring Dad into the 21st century with this electric toothbrush. If he’s still brushing his teeth the old fashioned way he’ll love doing it the lazy way with this top rated electric toothbrush. Feature: rounded head so he’ll be getting a better clean than he does now. If Dad is a fan of bacon he is going to really like this bacon salt sampler which comes in three different flavors, all of which are bacon themed. It’s a way to add instant flavor to any meal without having to cook up a pan of bacon, and it’s healthier too. For the dad who’s always up for learning a new skill, this ukelele starter kit is the perfect gift. He’ll get the satisfaction of nailing some tunes – with practice – whilst the kids will love to listen. Great for Christmas jingles with a Hawaiian touch. Nothing is worse than making plans for a day out, only to have them ruined by unpredictable weather. This gift will help him be more prepared for planning great adventures with the family and making sure that no camping trip is a washout. This kit is two great things combined, trampolining and basketball. He gets to shoot some hoops, whilst the safety net will protect the kids when they get involved with the trampoline. Slam dunks have never been so easy, though we’re willing to bet on who runs out of energy first. This wet dry vac will help dad keep the garage looking tip top, as well as come in handy when it comes time to vacuum out the car. Every dad needs a high quality wet dry vac, and this is one of the best that’s out there, so you can really make him happy with this gift. This MLB baseball wallet is great for any dad that is a fan of Major League Baseball. It’s made with real uniforms that were actually played in a game so dad will be reminded of his favorite team each time he uses his wallet, which is quite often. Help dad keep his face clean with this Daily Face Wash from Jack Black. This line of skin care product has no relation to the actor Jack Black, and it is highly reviewed by many users. It’s a great gift to give to a dad that hasn’t been able to find a face wash specifically for men. This game is for dads that have a bit of a twisted sense of humor. It is similar to the game Apples to Apples except for the cards are all a little bit awful, and encourages you to make suggestions that are even worse. Its a lot of fun for a family that has a good personality. This motorized tie rack lets dad find his ties a lot faster than he can now. It makes heads or tails out of a closet that has ties everywhere, and organizing things immediately while allowing him to peruse his tires quickly and easily. Kids are a bundle of joy, but can make it harder to find time to fit a regular gym routine into each day. This Home Gym will give him all of the kit that he needs to work out at home, whilst saving a bundle on monthly gym memberships. It’s a win-win dad gift decision. This gift is as much for the kids as it is for dad. Teach him the gift of DIY, whilst the kids get a treehouse hideaway in the yard. This book will take him step by step through the construction of his first tree house. Splash out on Dad this Christmas with this SaluSpa Inflatable Hot Tub. With the durable I-Beam construction, he can relax against the sides, surrounded by bubble jets, while he adjusts the temperature of the water on the digital control panel without even having to get out of the tub. He won’t have to drink a warm beer again with the YETI Roadie 20 Cooler. This portable cooler can hold up to 14 cans, and it has 2-inch thick, insulated walls making sure that the ice inside won’t melt even when the sun is shining. Make sure health-conscious dads get their 5-a-day with this SharkNinja Professional Countertop Blender. With 8 speed settings, he can chop, blend and crush fruit and ice to create smoothies for his commute, or prepare vegetables for a low-calorie dinner at the touch of a button. Dad won’t have to wait until spring to light this grill; the BioLite Outdoor Smokeless Fire Pit can be used throughout winter to create the atmosphere of a campfire in the backyard. Plus, he can control the fan speed without getting up out of his chair with the BioLite Energy app. For sleep-deprived dads, this classic series bed pillow from MyPillow has patented interlocking fill, which molds to the shape of his head and neck. The Open Cell Poly fill also keeps the surface of the pillow cool to ensure he sleeps soundly until dawn… or until the kids wake him up. What do you get a man who has everything? If he’s in to technology, he’ll go crazy for this DJI Mavic Air Fly More Combo. Complete with goggles, he can see the world from a bird’s eye view on the HD screens of this drone, whilst capturing photographs with the 4K camera. Dad won’t believe his eyes at what he can see with the Amazon Echo Show. On the 10-inch, HD screen, he’ll be able to stream live TV and movies; he can also ask Alexa to see lyrics and album art with Amazon Music, whilst listening to his favorite songs through the premium speakers. Could you take on Dad in a game of table tennis? 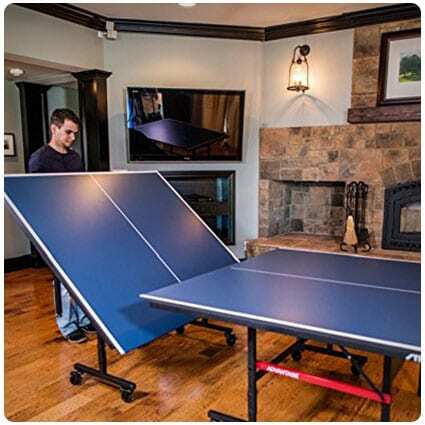 Find out with this Competition-Ready Indoor Table Tennis Table. Set it up for a match in play position, or you can practice your technique beforehand in playback position. Plus, the two halves of the table can be folded away separately for easy storage. Dads who are in to their music will appreciate the deep, rich sound from this Bose SoundWear Companion Wireless Wearable Speaker. Hands-free and ear-free, he can listen to his favorite songs wherever he is through the Bluetooth-enabled speaker, without getting tangled up in long, impractical wires. Pa can keep his den warm during the colder months with this portable Dr. Infrared Heater. The retro design produces up to 60% more heat than other models with the same wattage, making sure that the room stays at a consistent temperature throughout. What’s more, the 7-inch blower is virtually noiseless. If Dad is the chef of the family, this professional, electric knife sharpener is the gift for him. The Trizor XV Edge sharpens both straight and serrated knives to an angle of 15 degrees in just 10 seconds, so he can chop vegetables like a pro. His home is his castle, so what better way to protect it than with the Arlo Security System? Dad can keep an eye on the house when he’s not there with motion-activated alerts to his smartphone, and he can even speak to visitors with the 2-way audio. Bring back memories of the 70s with this vintage record player. Although the design may be retro, the features reflect changing technology in the 21st Century – there are 6 ways to listen to music, including through the cassette player, the CD player, or wirelessly through Bluetooth-enabled devices. If Dad often forgets about his coffee the moment he’s made it, it’ll still be warm when he remembers it’s there with this Temperature Control Ceramic Mug. The ‘saucer’ charges the battery inside the mug, making sure that drinks stay hot until the last mouthful. If he’s got a lot to learn in the kitchen, Dad can practice cooking one-pot recipes with this Instant Pot pressure cooker. The 7-in-1 cooker can also be used to steam rice and even make yoghurt; before long he‘ll be able to impress his family and friends with a 3-course meal. With a family, your house is filled with lots of things. Love, kids and toys, among others. Give him this gift and it’ll soon be filled with the smell of freshly baked bread, too. Nothing wakes up the family on weekends like the smell of a bakery wafting through the home. If Dad has to travel a lot for work, get him these travel socks so that he can have better circulation in his legs. On long flights these days they tell flyers how to do exercises to help improve their circulation, but it’s easier just to wear these socks. If dad is a fan of Rock and Roll and doesn’t have a guitar yet, let him make his own with this DIY guitar kit. It has all of the pieces, it just needs to be put together and customized, which will give dad a better feel for his guitar. Help dad score some big time fish with this sonar fish finder from Garmin. He’ll be able to go to the best spots out there and won’t waste his time in parts that don’t have a lot of fish. It’s almost an unfair advantage but it’s the 21st century. This is the latest and greatest from Microsoft in the world of gaming and if Dad has an Xbox 360 he will surely begging anyone who will listen for the new Xbox One. It features improved graphics and a whole new list of titles to choose from. Dad doesn’t have to be Hugh Hefner to start dressing like him. Smoking jackets are super comfortable, and he doesn’t have to smoke in order to wear one. It’s super relaxing indoor wear for those days when he just wants to lounge around but still wants to look debonair. If dad is a fan of the Godfather trilogy he probably knows many of the quotes by heart. He can see all of the best quotes from the films accompanied by some classic imagery and learn the exact quote at the same time. Be prepared for him to start dropping lines from the movie more often now. Has dad shown an interest in photography? If so you can’t go wrong with a fancy and powerful digital SLR camera. He can add on different lenses to take pics of things far away, and micro lenses that let him take detailed pictures of small things. This is a great book to give a dad that’s a fan of Star Wars. It tells the story of how things might have gone had Darth Vader been a good and nurturing father. It is an alternate tale of how things actually went, and shows the virtue of proper fatherhood. Give dad the entire series of Breaking Bad in one of the best presentations we’ve seen yet. It all comes in a big plastic drum like the ones seen in the TV show, and features plenty of goodies both in physical form, and in the form of commentary from the show’s creators and producers. Metal detecting is a great hobby to get into. Hours of excitement can be shared with the kids, whilst dad regales them with stories of pirates and buried gold. This detector is one of the best-known introductory models and will soon have him on his way to finding hidden treasures. This flask can be personalized with dad’s monogrammed initials, or you can put his nickname or other saying in the space at the top. A fun way to have dad think of you each time he takes a swig. If dad’s whiskers have been getting out of control lately, help him tame them with this beard trimmer. It’s got plenty of settings so that he can have a longer beard, but still have all the hairs be the same length. This can turn a scruffy dad into a nicely trimmed one. Put these speakers wherever you want, either indoors or outdoors for outside entertaining. They use Bluetooth so they connect with your phone and can play your Pandora station or any MP3s you want, as long as the phone stays within range. Get the party started or just relax indoors. Help dad keep an eye on his blood pressure with this monitor that goes around his wrist and gives an accurate reading. If his doctor has told him that he needs to watch his levels you can give him an easy way to do so. Great for daily use this can be really helpful for long term health. If dad likes to lift weights but doesn’t have a lot of room for a workout area, these dumbbells are a great idea. They are adjustable so with just two of them it’s like you’re getting plenty more just by making adjustments. He can change the weight in just a few seconds and be onto the next set. Game of Thrones is actually based on a set of books, so if dad is a fan of the HBO series let him delve even deeper with the books that started it all. This box set features all of the books in the series, so he’ll have a spoiler on upcoming seasons. Give dad all of the Planet of the Apes he can handle. This set features 5 of the best films of the franchise, including some of the modern ones. It will give him a new appreciation for how great they are when he watches them all in succession. This powerful little unit can carry a full 2 charges for many of the top range smart phones. Perfect for family emergencies, including tantrums when the iPad battery dies – that’s right, it charges any mobile device with a USB socket, too! All packed into a unit the size of a candy bar. An affordable, useful christmas gift idea for dad. Help dad master his cooking skills with this griddler that can cook food 5 ways. One of the most popular ways dad will love is to use it as a panini press to make hot toasted sandwiches in a flash. He can also cook up some pancakes and other griddle favorites as well. This survival kit comes from Bear Grylls, one of the top survivalists on the planet. It gives dad everything he would need if he ever found himself in survival situation. If he’s a fan of Bear on TV he’ll definitely want a kit like this. This excellent gift basket would be the perfect addition to any BBQ. Nothing goes with a barbeque quite like a good beer and this bucket comes with 3 great beers, meat rubs and delicious snacks to really finish a BBQ off. And the bucket can be used to keep the beers cool! There’s nothing quite like a good cup of hot caffeine in the morning. Whether your brew of choice is coffee or tea, this gift basket has everything you need to give you that get up and go when you get out of bed. It also contains biscuits which are an essential on the side of that cup. Junk food is everyone’s guilty pleasure and this gift basket is piled high with your favorite junk snacks. It comes presented in an attractive gold tin, meaning you can keep all of your goodies together and no one needs to know exactly how much you’ve eaten! If the aspiring golfer in your family can’t get to the green this season, bring them a piece of the action home, literally. These Officially Licensed PGA Tour cufflinks have been crafted out of sunken balls played on the TPC Sawgrass Golf Course in Florida and encased in sterling silver. This Nikon Rangefinder is one of the most useful golf gifts around. With world first ‘locked on’ technology, it can give you an accurate range to the flag almost every time through the power of vibration reduction and a lot more. Time to bring your golf lovers bogey, down to a birdie. Do you know someone that dreams of the green every day? Or longs to make their way to the fairway? Well serve them a cup of their favorite drink in this 15oz hand painted coffee mug. Complete with real dimples, it’s bound to make their wait a little easier. Have the whole family clawing over who’s turn it is to cook with this Lobster Claw oven mitt. With a quilted cotton design, and vibrant colors, it would make a great addition to any kitchen or as a guaranteed conversation starter at your next dinner party. Can you imagine being on Darth Vader’s bad side? Dude! He’s already on the Dark side! This sweater will receive rave reviews with the famous Vader helmet and “disturbing” sentiment! Imperial cogs complete the fabulous design. As a fashion statement, it’s très geek! As a garment, it’s also comfy! The discerning executive knows that there’s a place for everything. Organization is an integral part of running any organization! For the aspiring CEO who runs a little on the nerd side, this kneeling knight is the perfect desktop accouterment. Designed to hold an elegant pen, it’s a great geek gift! Business cards are a fact of life regardless of your business. They’re especially important for freelance entrepreneurs because they aren’t attached to a big business building. For the coolest nerds in any gig, Han Solo frozen in carbonite business card dispenser is the best gift ever! Perfect for unforgettable first impressions! Do you have a geeky photographer on your gift list? Wouldn’t they love this camera bag with “STAR WARS” embossed on the front and shoulder strap? Generous Wookiee-sized compartments for a camera plus accessories, designed with Chewbacca in mind! Details like Rebel Starbird zipper pulls add to the fun! Have a mini awards ceremony at your annual Christmas family party this year with these adult award ribbons. Featuring awards for putting your pants on and saying what everyone else is thinking, this pack of 4 awards will definitely bring some humor to your family gathering. ‘Brew like a boss’ with this selection of gourmet coffees from around the world. Containing 16, 1.8oz bags, you are bound to discover some new favorites and unlock flavors you never thought you would taste! Discover the undertones of the coffee business and become a coffee connoisseur. Bring the comfort and warmth of Starbucks home with this lovely gift basket from Wine Country. Hand packed in the U.S, this beautiful bamboo basket contains all you need to get the Starbucks experience without leaving the house. Teas, coffees, hot chocolates and more. It’s the perfect winter warmer gift. You can get a rich and bold espresso from the handheld MiniPresso by controlling the preparation technique. Grinding any variety of coffee bean will result in a superb espresso shot to your liking. It’s so easy to use and efficient—you don’t even need to plug in. A perfect gadget for the office! This sleek gadget is a mouse—the Microsoft Arc Touch Mouse. This is the ultimate gift for that high-tech friend who spends plenty of time at their desk. It flattens for portability and fits the natural curved shape of your hand. Works with two-way touch scrolling on almost every surface! Don’t play an instrument? Now you don’t have to with the ROLI Lightpad Block. Just slide your hand using pressure points, taps, presses, and other gestures to make music. The illuminated grid contains notes and can shape sound with modes to help you learn, compose music, and sounds. A musical tech stocking stuffer! A home brew journal makes an unusual stocking stuffer for anyone who loves to brew their own poison. Bound in vegan ‘leather’, this book contains tables, logs, and infographics to make sure that crucial detail isn’t missed in the search for the perfect pint. It’s a gift that will ‘Cheers’ any home brewer up. Some like it hot, and none will like it better than this kit to make their own hot sauce. With dried Guajillo, Chipotle, and Arbol peppers, along with all the other ingredients needed to make six bottles of sauce, this kit allows the user to perfect the art of hot sauce, one kick at a time. Have you ever used a magic 8 ball to make life’s decisions for you? The problem is, they don’t look…grown up enough! These spinning tops look sleek and classy, and can answer yes/no, you/me, or now/later, making them a great stocking stuffer for the indecisive adult in your life. Definitely. Maybe. We think. Whose round is it? Score a splash shot by dropping these golf ball whiskey chillers into a golf-lover’s Christmas stocking. By cooling without diluting, these glass golf balls will go a fairway towards getting you on someone’s nice list this year. They won’t need ice, but they may like a slice. For a stocking stuffer idea that is all ‘two wheel’, take a look at this set of bike chain coasters. Each of the four coasters features a different type of cycle – mountain, cruiser, ten-speed, and tandem – and is made from reclaimed bike parts and bamboo for a gift they will wheely love. Give dad four books that have been best-sellers, all by author John Green. This includes Looking for Alaska, Paper Towns, An Abundance of Katherines, and The Fault in Our Stars. A great gift set for a dad that always has his nose in a book. Give a new dad the ability to check in on his little angel whenever he wants, even at night. This wireless video baby monitor features night vision, and a crystal clear picture so he’ll be able to tell if baby is doing alright. Keep dad’s eyes safe from harm with this safety goggles. Great for dads that spend any amount of time in their workshop and don’t yet have a pair. Also great for dads that just do DIY projects every now and then. Everyone should have what’s known as a bug out bag. It’s a bag that will last you 2-3 days away from home in the event of an evacuation. With all of the calamities in the news you just never know when disaster will strike in your backyard. Treat dad to a wine tour around the world without leaving the comfort of home. This wine crate features win from several regions of the world, as well as foods that go with is and taste amazing while drinking the wine. These glasses make sure that you have the perfect glass no matter which beer you’ve chosen to drink. Depending on the beer you’re having there is always just the right glass to help you enjoy it, and now dad will be armed and ready for any beer situation that presents itself. Keep dad informed on the latest ways to stay healthy with a one-year subscription to Men’s Health. He doesn’t have to look like the guy on the cover to be healthy, and there are plenty of useful tips in each one that he can begin applying right away for better health. This keyboard is great for a dad that wants to practice his piano skills, but doesn’t have a lot of room to work with. It fits great in most any home and has everything he’ll need to get started learning, or to play if he already knows how. This desk organizer is a great addition to dad’s workspace, especially if he has a lot of papers to shuffle. It’s clever because there are so many slots it can hold different items perfectly and keep them all in order. Every man needs a golf umbrella, even if he doesn’t play golf. He can say goodbye to having his umbrellas torn apart in the wind with this windproof bit of kit. It’s even large enough to keep the kids dry when it starts to pour. These gloves grip dad’s hands so that he can do a better job with the task at hand and not worry about work gloves that are big and bulky and don’t fit right. He’ll be amazed just how much those old work gloves were getting in the way of the actual work. Queue the Indiana Jones theme music. 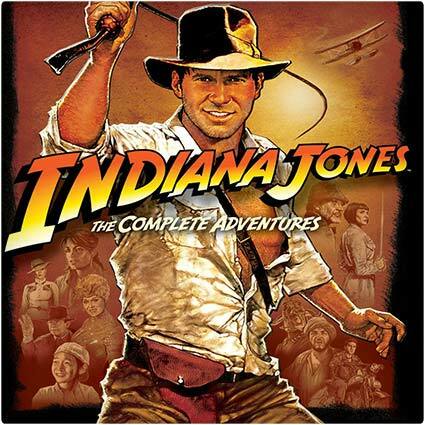 Give dad all of the Indiana Jones movies in one awesome pack so he can relive the tale of this archaeology professor by day and adventurer in his spare time. It even includes the most recent film with the famous refrigerator scene. The handiest of tools for the handiest of men. This hammer includes 14 tools including pliers, knives, screwdrivers, and a can opener. It’s also light yet strong and easily concealable so he can store it anywhere or bring it on-the-go. Everyone loves a good grilled meal. The problem with smaller food items is that they fall in between the racks making them nearly impossible to cook on the BBQ. This mat sits directly on top of the BBQ grills allowing you to cook food of any shapes and sizes perfectly without having to worry about them falling through the cracks! What better way to let your dad know how awesome he is than with this direct t-shirt? It’s made from 100% cotton so it’s very comfy and the print will let everyone know who the number 1 dad is. This shirt will put a smile on the face of any father out there! Your tires take a lot of beating every time you drive. You never know when you might drive over a nail or piece of glass that could let out some air. This tire pressure gauge has a screen that reads the pressure back to you giving you an exact amount rather than having to guess. It’s a must have for any dad who drives! Grilling is a great way to cook almost any food. The problem is that smaller food can fall between the cracks of the grill if you’re not careful. This basket takes away all of those troubles by containing small vegetables and this like shrimp and small meats. No more lost food! A big reason why people get up in the middle of the night is to go to the bathroom, the only problem is that if you turn the light on it’s like staring into the sun! This nightlight fits onto any toilet in seconds and has different colors for anyone’s preference. This light will take all the hassle out of your midnight bathroom runs! Having a good multi tool can go a very long way. This 22 in 1 multi tool by Magnelex has everything from blades to pliers to attachable bits. It even comes in a nice durable sheath so it’ll always be protected and ready to use. Whether your camping, hunting, working, or doing anything else, you’ll always have the right tool for the job! Cooking meat can be a very tricky job. Some meats have a sweet spot where they are done enough to be healthy to eat but not overdone and dried out. This thermometer has an extremely accurate digital display that lets you know the temperature of whatever you’re cooking. Perfect for any dad who likes to BBQ! Nothing beats a cold drink on a hot day, the only downside is when the drink starts to become as warm as the weather. This drink chiller will keep any bottled beverage ice cold until the last drop! It freezes in about 45 minutes then slips into the bottle neck to cool the entire drink. Perfect for any and all beer lovers! Breaking down on the side of the road is always frustrating, especially if you’re missing the tools for a repair that you know how to do. This 34 piece kit has all of the tools that are needed for a lot of repairs which makes it ideal for anyone who drives a car. You’ll never have to worry about getting stuck out in the middle of nowhere with this kit! Create a miniature version of your family that can stick on anything with these Shrinky Dink figures! They’re cutouts that can be personalized to look exactly like your friends and family. The tutorial lays out all the steps and all the pictures show how easy they are for anyone to make! This wool messenger bag looks like something you’d have to buy in a store, and dad might have trouble believing that you made this yourself. They walk you through the process, and include the name of the fabric so you can get it just right. Doctor dad’s favorite beer to look like a 6 pack of reindeer, or in this case reinbeer. It’s the perfect add-on gift to his other gifts, and it is just fun to see the look on his face when you give it to him. Keep dad’s iPhone looking like new with this felt case. It’s big enough to hold a set of earbuds too, so he’ll have everything he needs while on the go. Phones can get scratched up in pockets, but this case will keep it scratch-free. Here’s an amazing looking family portrait that spans across the wall. Dad will love to see everyone’s silhouettes represented, and when they are placed next to each other it creates a sort of family mosaic. By this time you probably have a pretty good idea of dad’s favorite things. This gift involves rounding all of them up and sticking these cool labels on them so he knows that these are just for him to enjoy. A tie may be one of the most time-honored gifts for dad, but the stigma around getting him a tie is in reference to a store bought tie. When you take the time to make him a tie he’ll definitely appreciate the gesture and it will be his new favorite. This is a keepsake ornament that dad is going to love to receive this Christmas. It’s made by taking your child’s hand and using that as the bodies for the snowmen. It’s a good way to record how little their hand was this year too. Christmas just isn’t Christmas without some deliciously spiced mulled wine. Gift someone with this DIY mulled wine kit this festive season and they can fill their home with the Christmas scents of nutmeg and cloves. They might even let you have a glass if you’re lucky! One of the flavors you think of when you think of Christmas is cranberry. Perfect with the delicious turkey on Christmas Day but why stop there? This cranberry and lime vodka is the perfect tipple for after the big Christmas lunch. It’s not just for the festive season though, it’d be perfect any time of the year. Have you still got any leftover candy from Halloween? This is the perfect solution – make some candy flavoured vodka. Leave the candy in some vodka and let the flavors infuse. Alternatively, buy some seasonal candy, like candy canes or mints, and make Christmas candy vodka. Even some vegetarians will admit that the smell of bacon makes their mouths water. It’s just one of those smells that is instantly recognizable. This DIY tutorial will show you how to make some delicious bacon salt which can be sprinkled on pretty much anything. We all know a foodie and getting them a meaningful gift can be difficult, especially if you want something food related. This year, why not make them an edible gift? Cookies are predictable but what about homemade vanilla extract, seasoning mixes or frozen meals/soups? They’ll love it! Pie is a delicious gift any time of the year. But sometimes we don’t want to make loads of whole pies to give out to everyone we love. So why not just give everyone a slice of your favorite homemade pie in these printable pie boxes. They’ll be well presented and taste amazing! Give dad a chuckle when he sees this Stormtrooper snow globe. It features two Stormtrooper Lego minifigures admiring a tree. It’s the sort of gift most dads will love, especially if they’re Star Wars fans, and chances are he is. Stitch dad a pair of suspenders so his pants stay up without the need of a belt. This is more for the old school dads that prefer a pair of suspenders, although you could try it out on a dad that currently doesn’t have any suspenders. Let dad know he rocks with this paperweight. It uses rocks round around the yard and basic kitchen staples so you probably don’t need to leave your property in order to get this done. Works as a last minute gift or stocking stuffer. Use some of dad’s favorite music to make this personalized gift. You take the covers or records and turn them into coasters. Every time dad uses a coaster while he’s watching the big game on TV or for his nightly beer, he’ll think of your gift. This gift is easily customized to your dad’s tastes. Is he a peanut guy? Cashews? Pistachios? Pick his favorite nut and then load this jar up. Affix the label after printing it out and you’re good to go with a personalized gift. Go retro style with this photo holder that holds pictures that look like they were taken on a Polaroid camera. It’s nice because it can hold a series of pictures so you can tell a story or remember a special day. Dad’s hammer will never be the same when you upgrade it with this leather handle. It helps turn it from an ordinary hammer to something special that he’s sure to enjoy each time he has a project to do around the house. Kids love to leave their mark on a home. These chalkboard vases are a great way of making sure that those marks aren’t left on the walls. Dad will love the decorative flair, whilst the kids will love to draw on them in chalk. These colorful ingredient jars work with almost any baking recipe. Just layer up the ingredients in bright and varied layers and leave him to do the rest. When the kids need entertaining, all he needs to do is whack the whole lot into a bowl without the need for messy measuring and weighing. This clock is perfect for any dad’s office or man cave. It uses bottle caps which give it a unique look and you can use caps from his favorites. Plus, he’ll get to drink beer while you make it, which he’ll surely enjoy doing! If you have a newborn then this gift is a must have. A papa bear shirt and a matching baby bear shirt will make father and child look and feel closer together. Also, it can be ironed onto any shirt so you can make it out of any clothing you’d like. When the day’s over and the kids are in bed, sometimes it pays to relax in a hot bath. These bath bombs are a great relaxation aid, whilst having a concealed toy in the center. He’ll be completely prepared in case of the kids crashing bath time. The dad gift box is perfect because you can load it with any of his favorites. Also, you can personalize it so that it’ll be perfect for any father. This is one box that he won’t want to rip open on Christmas morning! If dad’s always on the computer taking care of business then he’ll absolutely need a good mousepad. This one can be engraved and you can give him any message you want. Every time he looks down at his mouse he’ll be reminded of how much he’s loved. Get dad to use a coaster more often when you handmake these awesome coasters. They show off just how great dad is and let you know that you appreciate all he does for the family the whole year through. Each time dad sneezes he’ll remember your thoughtful gift when you make him this hand-stamped handkerchief. It’s just the thing for dads with allergies that go through a lot of tissues each day and is a throwback to olden times. Here’s a fun gift for dad that shows him how great he is. It says “World’s Greatest Pop” and is a play on words because you attach it to his favorite brand of soda pop. The set comes with fun things for dad to discover. This clock is destined to hang in dad’s favorite room. It has a post modern look to it and is made out of cocktail stirrers. It requires a bit of wood work and hands on work but the end result will leave any drink loving father stunned! Show dad he’s a real superhero when you get him this themed gift box that has all of his favorite candies wrapped up. There’s no stopping SuperDad once he’s powered up with this gift! Help dad keep all of his important papers and notes in one place with this photo collage clipboard. Perfect for dads that are coaches, or any dad that loves to play fantasty football and keeps track of games at home. A unique gift for dad, this project involves making a cutout that says I Love Daddy. Then you have you child pose for the picture making a nice shadow and it turns out looking great. A one-of-a-kind gift for dad! Dad will look stylish plus he’ll be more prepared in a survival situation when you make him this bracelet. It’s made from paracord that has hundreds of uses when you’re stranded out in nature. Who doesn’t love bacon? It’s a staple amongst many breakfasts around the world because it’s so delicious. This guide explainshow to make 3 recipes: bacon salt, bacon jam, and bacon candy. They’re very quick and easy to make and will be loved by any bacon fan! Get him in the Christmas spirit by putting together one – or more – of these Santa belt jars. You can fill them with pretty much anything; Christmas candy, tree decorations, chocolates, or even a knitted scarf or gloves, if you can pack it in tightly enough! Though originally a recipe for a father’s day gift, this DIY project is ideal for vouchers of any type. You can fill it with free massages, trips to catch a ball game, babysitting vouchers, or anything else that might suit your relationship with him. Make use of your spare mason jars by creating him these bespoke mason jar candles. This recipe uses wildflowers and you can be pretty creative with the ingredients that you choose. With the size of these jars, this gift is sure to last well into the New Year. If his hallway is looking a little sparse, then this picture frame and key holder will make an attractive and memorable gift to hang by the door. With the key holder, he’ll never lose the door key again, whilst enjoying a family photo every time he enters or leaves the home. Let’s be honest, after getting married, every guy’s home is instantly filled with shoes. When the hallway is crammed with more pairs than he can count, why not create this vintage shoe and coat holder as a thoughtful DIY gift? It’ll neaten up the home, and give him somewhere to drop his coat. Bring a touch of nature into his home this Christmas with these homemade ornament banners. They make cute Christmas tree decorations, but you can design them in any way you like, creating decorations that can be hung all year round. Cut out all of the unknown ingredients packed into commercial beauty products by creating your own massage oil with this recipe. The natural ingredients can reduce pain and inflammation, soothing the body. This is a gift that he can use with his wife, providing he’s happy to share. Beer soap, does it get any more manly? What’s great is that you can use any beer (the stronger the better) to make this soap so he’ll be able to clean in the scent of his favorites. Don’t be surprised if he spends a bit more time in the shower after receiving this gift. This timeline book is perfect for any couple. It uses pictures from your past and shows you a very nice and personalized way to put them together and create a collage that he’ll cherish. You can also leave some pages blank for the many more memories yet to come. If you have someone on your list who lives and breathes art, then this is the tutorial for you! Making this incredibly arty clock is simple, but the finished article looks like it’s straight out of an artisan’s studio! Colored card, brushes, and a clock mechanism go towards making this beautiful timely gift. When you like the relative dimensions in your workspace to rock a geeky look, it’s time to make this TARDIS phone charging station. This tutorial gives you step by step instructions, and with a stitch here and a snip there you will have a charging station even the Doctor would be proud of. Super Heroes get Super Thirsty, and that’s where this DIY guide comes in. With some etching cream, stencils and plain, cheap glasses, you can take zero fun to hero fun with very little effort. Make one special glass or a whole set, your own super power will be DIY gifting! Every dad loves getting homemade art from his family. This is a periodic table themed art piece that looks great and will get an even better reaction from a scientific father (no pun intended). He can hang it anywhere in the home or office to remind him of his family every single day. Everyone loves to lay down and watch a show on their laptop after a long day. This laptop riser makes doing so much easier by raising your laptop to a much more comfortable viewing height. This tutorial requires a bit more hands on and wood work but the end result will be absolutely well worth it! Christmas is a time of many treats before the New Years resolution to get in better shape. These guide shows you how to make cookies in the shape of remote controls. Any father who likes sweets will be happy to be the holder of these delicious remotes! One of the problems with many suits is the pocket space. This tutorial shows you how to transform virtually any tie into a much more convenient pocket tie by making a few simple sews. Once complete, it’ll be able to store wallets, phones, keys, or anything else that can be easily concealed. Perfect for any dad who needs an extra pocket! Having lots of tools can make the life of any guy much easier, but with more tools also comes more mess. This roll-up tool organizer is perfect for any guy who needs a better way to sort his equipment. It can be made from and durable material and will make things easier for any handyman! Washing your car not only makes it look a lot nicer, it also rids of saps, tars, and other substances that can be harmful to the exterior of your vehicle. This guide shows you how to put together a car wash kit that’ll make the job a lot quicker and smoother which will give you more valuable time to spend with your father these holidays! Turn those old pop cans into recycled coasters with this DIY tutorial! This tutorial shows you how to quickly cut and paste your very own coasters that can be made from virtually any soda can. Any father will be happy to use their favorite drink as their new coaster! If Dad has a few old neckties that he never wears, don’t let him throw them out – surprise him with this DIY necktie zip pouch. Have a look at this article to see how to make it; it’s a fun stocking filler to give to him this Christmas. Dads can never spend enough time playing with their kids; little ones can help Daddy color in the design on this car shirt, before using it (and him) as a racetrack for their toy cars. Check out this post to find a tutorial, along with a printable black and white design. Get crafting to make Dad this smart, leather pouch for his iPod Touch. Read the article to learn about leather molding in order to create a one-of-a-kind gift that’s made with love. You can even have a go at adapting the design to fit other smartphones and tablets. Make this Big Batch Barbecue Rub for Dad to smother on the meat at the next get-together with the family; he’ll be sniffing the air like a dog, enjoying the smell of the herbs and spices, as he takes up his position in front of the grill ready to serve his hungry guests. If you’ve still not found a Christmas gift for Pops, don’t despair – have a look at this post to see how to make these handmade shaving soaps. The cedar wood, hops and charcoal scented soaps are made with essential oils, which he can use to have an old-fashioned shave. Finding Christmas gifts for your boyfriends doesn’t have to be a struggle. Guys are somewhat predictable and as long as you play to their interests they’ll appreciate being given a thoughtful holiday gift. Here are 102 gift ideas for a boyfriend that are sure to please, as long as you keep in mind the things that he likes or needs. Thank you for the list! It truly helped me! This list is valuable. Thank you! It’s just fantastic. It helped me to find gifts for my fother.